At the height of the financial crisis in 2008, Thomas J. Thias, a car salesperson at the 6th largest Class A dealership in the nation by total sales volume, watched as gas prices spiked to near record levels. “By June, prices had hit $4 a gallon and stayed that way until the end of October,” Thias explained. By late November, prices had dropped to $2 a gallon, “but the damage to small businesses, the Big Three automakers, and consumers was devastating,” he said. At that time, leasing a brand-new Chevy Volt had dropped to $349 per month. Taking into account the payment on his conventional vehicle, plus the cost savings of not paying for gas, leasing the Volt would save him upwards of $200 a month. “It was a deal I could NOT pass up,” Thias said. 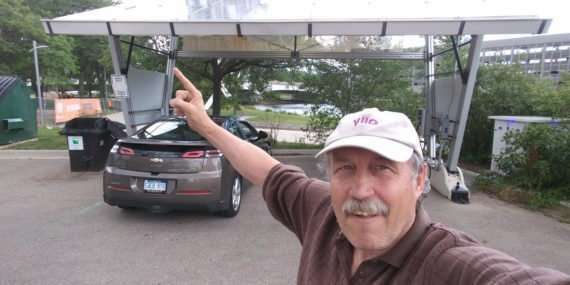 He leased a 2012 Chevy Volt Extended Range Electric Vehicle and saw the benefits almost immediately. “With so little required maintenance, I avoided countless hours of dealership waiting room time. Since March 2012, I’ve saved over $11,000 in fuel and maintenance costs,” he said. Rather than continue selling electric vehicles through a dealership, Thias set off on his own path. After more than 34 years as a car salesperson, he left the industry to promote electric vehicles his own way. Now, he operates the Clean Energy Retort Twitter page, which showcases the surging global electric vehicle market, as well as energy storage and renewable energy advancements, in general. For prospective electric vehicle owners, Thias admits the best way for them to realize the benefits of an electric vehicle is to get behind the wheel and to take one for a test drive. He, like most other electric vehicle owners, is more than happy to give rides in their vehicles. 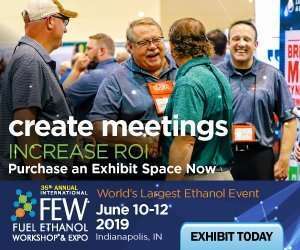 In partnership with Midwest EVOLVE, the Greater Lansing Area Clean Cities coalition hosts Electric Vehicle Ride and Drives, Electric Vehicle Owners forums, and Workplace Charging events. “It’s a really great way for folks to learn more about electric vehicles from actual electric vehicle owners, while also getting the chance to test drive one,” Orr said. Please visit www.michigancleancities.org or www.midwestevolve.org for more information on electric vehicles and events. To learn more about electric vehicle rebate programs and charging station locations in your area, please visit the Alternative Fuels Data Center or PlugShare. 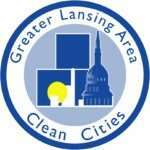 By Jeremy Orr, Coordinator, Greater Lansing Area Clean Cities (GLACC) – In addition to his role with GLACC, Jeremy is an environment and sustainability planner at the Tri-County Regional Planning Commission in mid-Michigan, which houses GLACC and other planning initiatives for the Greater Lansing region. Visit www.michigancleancities.org or www.mitcrpc.org for more information.